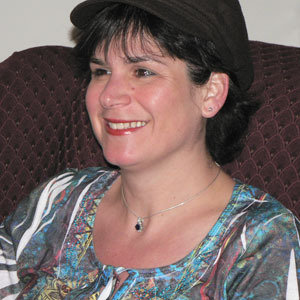 West Windsor, N.J. - Dr. Rachel Adler, associate professor of anthropology at The College of New Jersey (TCNJ), will discuss her personal and professional mission in her talk, "Two Worlds, One Neighborhood: Doing Anthropology and Nursing in the 'Burg," on Wednesday, Dec. 1 at 12 noon at Mercer County Community College. Free and open to the public, her lecture is part of Mercer's fall 2010 Distinguished Lecture Series and takes place in the Communications Building, CM 107, on MCCC's West Windsor Campus, 1200 Old Trenton Road. Dr. Adler will discuss the anthropological research she has conducted in Trenton's historic Chambersburg district, which has undergone an ethnic transition from Italian to Latino. She will also talk about the effects of recent U.S. immigration policy on the community and her decision to become a nurse to further engage with the Chambersburg community. Initially interested in hands-on academic research, Dr. Adler soon realized that she wanted to make a difference in the lives of community residents. To fulfill a desire to make her research socially responsible, she took a sabbatical and enrolled in the Bachelor of Nursing degree program at Drexel University and, within 11 months, earned her degree. Her goal: to deliver primary care to local residents. Adler earned a Ph.D. in Anthropology from Arizona State University. At TCNJ, she teaches courses in sociology, anthropology, global urbanization, women and migration, urban ethnography/qualitative methods, and ethnicity, race and nation. She is widely published in journals, including American Behavioral Scientist, Practicing Anthropology, and Urban Anthropology, and is the author of the book, "Yucatecans in Dallas, Texas: Breaching the Border, Bridging the Distance" (Allyn, Bacon and Longman Publishers, 2004). Dr. Adler's lecture completes MCCC's fall series. To learn more about upcoming public events at Mercer County Community College, click here or call 609-570-3324.